July 26, 1987, LG Crabo. 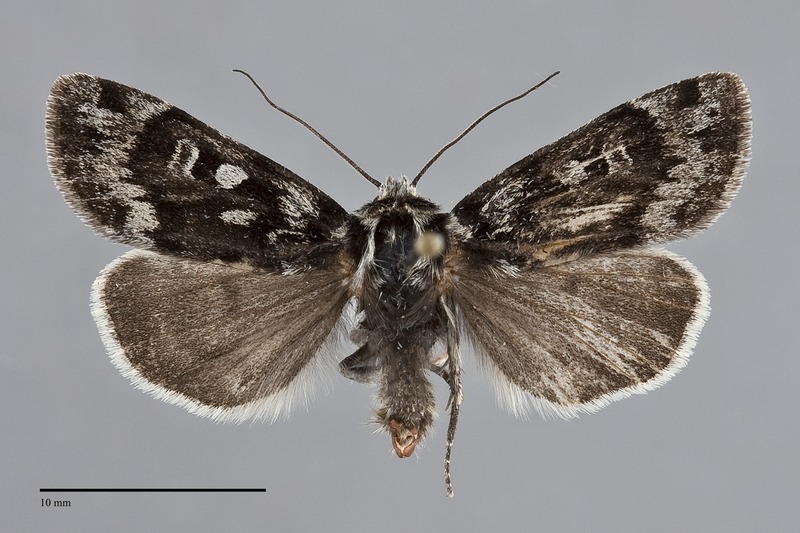 Xestia maculata is a rarely collected black and light gray day-flying medium-sized noctuid moth (FW length 14 - 16 mm) that occurs in rocky alpine tundra in northern Washington and British Columbia. The ground color is dark gray, nearly black, with lighter silver gray medial to the antemedial line, between the postmedial and subterminal line, and in the terminal area near the apex. The black lines and spots are barely evident against the black ground, but the light gray filling of the spots is prominent. The postmedial line is deeply scalloped and the subterminal line is irregular. 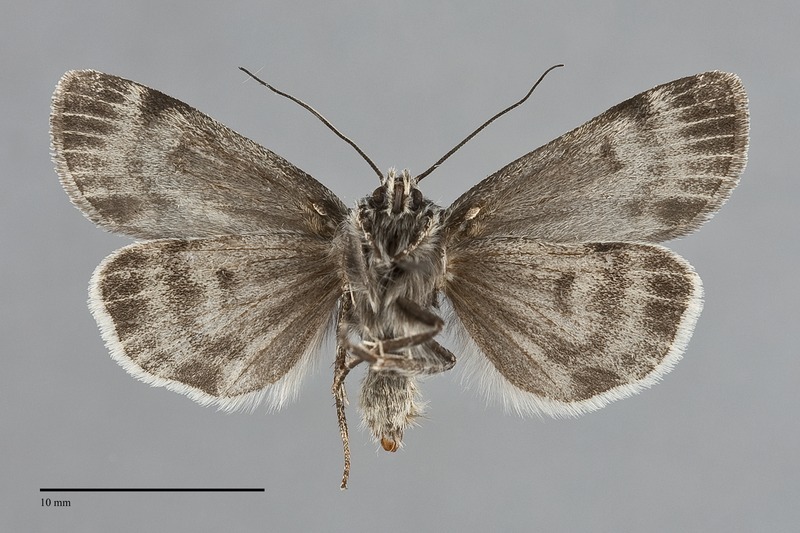 The hindwing is smoky gray with a white fringe. The head and thorax are silver gray with black collar and tegulae. The eyes are slightly reduced in size. The male antenna is filiform. This black and gray species is distinctive and is unlikely to be confused with other species in its alpine habitat. Xestia is a large and diverse genus found throughout temperate, alpine, and arctic portions of the Northern Hemisphere. The genus is subdivided into three subgenera, Xestia, Megasema, and Pachnobia, by Lafontaine (1998). The genus is defined by a thumb-like ventral extension called the pollex which arises from the base of the clasper of the male valve. Over half of the North American species are found in the Northwest. 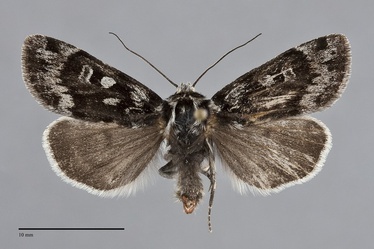 Xestia maculata belongs to the subgenus Megasema. This species flies over rocky alpine tundra at high elevations in the mountains above timberline. Xestia maculata occurs in the Coast Range in British Columbia and northern Cascade Mountains in Washington. It probably has a much greater distribution in the mountains of British Columbia since it occurs in Alberta and Yukon Territory. This species has been found in southwestern Yukon Territory, and in the Rocky Mountains in Alberta and on the Beartooth Plateau on the Montana-Wyoming border. Adults are diurnal. They have been collected on the flowers of moss campion (Silene acaulis) during the day. The flight period is July in our region.